This is quality journalism and explains in a simple, user friendly way one of the buzz words that is frequently heard in Nutrition circles at the moments - 'super-foods'. Healthy eating is the holy grail of basic healthiness and should be pretty straight forward to achieve one would think. However, we do get bombarded with ideas, both healthy and otherwise, to get you on the road to a better life from a dietary perspective. I can't help but think that the old adage of 'moderation in everything' is the best dietary advice one can give, which is suitable for any situation! That is, in fact, the beauty of weight loss surgery. It gives patients the ability to be in control of their diet again and to start to put the moderation lifestyle into practice. And that is where we start post surgery. Everything is different the minute you wake up from your bypass/sleeve or band and that is the perfect opportunity to have a new and healthy start. At BetterLife Surgery we do a lot of work around 'what life is going to be like after surgery' and I think that is the key to LONGTERM success. Just remember, diets are out, everything in moderation is in!! Raw food diets, juice detox, super foods and ancient grains - it's hard to tell what's healthy and sustainable and what's a fad. Many foods lauded for their health benefits, like quinoa and acai berry, are imported, meaning they can be expensive and their transportation can leave a bigger carbon footprint than buying local foods. The Herald spoke to two experts about what's good for New Zealanders' bodies, pockets and the planet. When choosing what to eat, Plant and Food Research scientist Carolyn Lister says it's important to compare things that are nutritionally significant in a typical serving. Turmeric, for example, may have a great nutritional profile, but few people would have more than a spoonful of the ground spice daily. "To be nutritionally significant a food should deliver a minimum of 10 per cent of the recommended daily intake (RDI) of the particular nutrient." For example, the RDI for calcium, in people aged 19 to 54, is 800mg. So a glass of whole milk, which contains 300mg of calcium, provides 38 per cent of RDI, while the same amount of boiled spinach contains 130mg - 16 per cent. AUT University professor of nutrition Elaine Rush stressed the importance of eating ingredients that one's grandparents would recognise. "My approach is to encourage people to eat combinations of real foods in sensible quantities," she said. Emily Dowding-Smith of the Sustainable Business Network, who works to enhance access to healthy food in communities, said though many trendy "super foods" were beneficial, others less glamorous were grown in New Zealand and were therefore cheaper and more environmentally friendly. "[Go for] less 'elite' sounding super foods, the ones that are really good for you, and can be found or grown locally in Aotearoa." They included broccoli, kumara, spinach, kale, garlic and beetroot, she said. Here's what our experts had to say about the health benefits and environmental impact of food types that are popular right now. Carolyn Lister: "There is some scientific evidence for gut health benefits of fermented foods. Still it's an area with gaps in knowledge and more evidence is required. Like most things it's a matter of balance, and important to consider levels of salt, etc." Emily Dowding-Smith: "Fermented foods are definitely 'trending' these days, despite being centuries old. 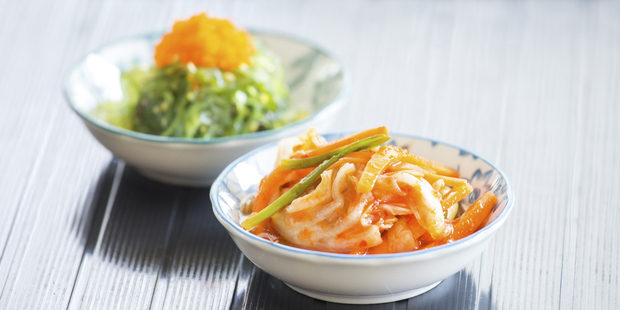 They are relatively environmentally friendly - mainly [involving] growing cabbage and eating it in small quantities for kimchi, with spices added - and for kombucha and kefir, they are rather affordable to make. Overall, they are quite low-impact and low-cost. I'd add sauerkraut to this list along with other cheap, fermented veges." Carolyn Lister: "A lot of this is about the anti-wheat trend. Lots of people are saying they're intolerant to wheat gluten when they're not. It is really important to have a good intake of whole grains, and some of the benefits of different types are similar [to wheat] but there are differences, for example, in the amount of protein. It's great that if people aren't eating wheat, they do have other whole grains. It's especially important in terms of fibre." Emily Dowding-Smith: "Considerations for these products, like any from abroad, is the story of food - how it is grown and whether the environment and people who made it are treated well. Third-party certification can aid with this, such as Fair Trade certification. The downside of these foods from an accessibility perspective is that they tend to be more expensive in supermarkets in New Zealand. Oats are grown in New Zealand and can be grown organically. 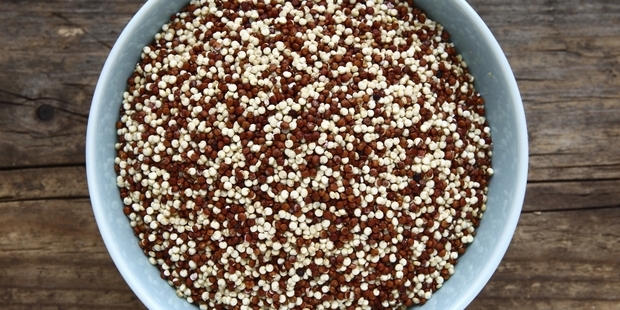 This is a wholesome food, and a cheap and filling alternative to expensive imported grains." Carolyn Lister: "The different milks will vary in their composition. They are more processed than cows' milk, of course ... It is hard to generalise but some of these other milks do have sugar or salt added to help with flavour. Rice milk probably has the lowest nutrient value of the milks, unless vitamins and minerals are added, and has almost no natural protein." 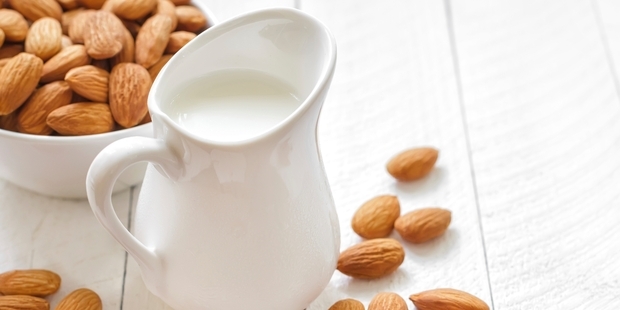 She said there was some evidence of benefits of nut milks, but they did not have as extensive a range of nutrients as cows' milk, and had lower protein. "Soy milk is a bit controversial as there's mixed evidence around benefits and negatives of soy phytoestrogens. It's higher in some B vitamins but doesn't have the natural calcium, and in some cases has sugar added." Emily Dowding-Smith: "Most of these products in New Zealand supermarkets come from Australia or further afield, again because we don't grow such large amounts of nuts, soy and rice in New Zealand due to our climate and agricultural focus. Environmentally it's an interesting one. The nut and seed milk products are quite processed and packaged. Sadly in New Zealand we can't recycle TetraPak. Therefore all the UHT and nut milk packages go to landfill here." She said there was less of an environmental impact from growing plants than dairy farming, so a good alternative was for people to make their own New Zealand-grown hazelnut milk. Carolyn Lister: "With turmeric, there is scientific evidence for some health benefits but the question is how much may be needed to have a benefit. There is quite a lot of scientific evidence for a range of health benefits of cocoa - which is due to the high levels of particular flavonoids. The issue with cocoa is that the amount needed to have benefit may be quite bitter (chocolate needs to be 85 per cent cocoa). It's also a matter of balancing the fat and sugar consumption. 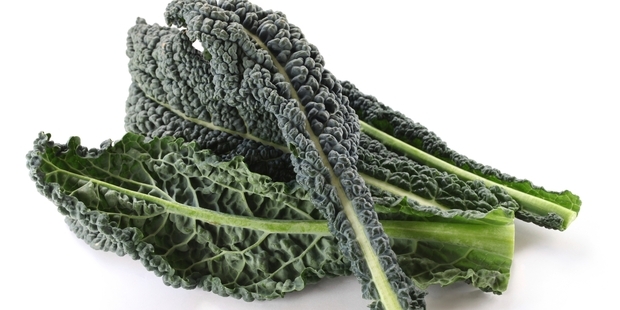 There is truth to the mainstream benefits of kale. It is one of the most nutrient-packed vegetables. I do know that some places make all sorts of exaggerated claims about detox that are not based on scientific fact. "The benefits of some berries like goji and acai are exaggerated - for example, I often see companies comparing values for dried goji with fresh blueberries. Fresh and frozen berries are more likely to retain some nutrients than dried products. Normal berries are just as good in many cases, and sometimes better. Blackcurrants and boysenberries have high levels of flavonoids including anthocyanins that give them their red-purple colour. We are finding the particular combination of nutrients and phytochemicals in each fruit may impart different health benefits, so blueberries may be good for the brain, blackcurrants for sports recovery and cranberries for urinary tract health. This reinforces the importance of a balanced diet with a variety of different foods." Emily Dowding-Smith:"Turmeric grows well in the Pacific Islands, like Fiji, and is not that far away from New Zealand - it also supports the economy of a sister island." She said the fresh root could be bought relatively inexpensively and could last a long time. "Cocoa must come from areas where the plants grow - mainly the tropics - and is therefore imported. Traceability is a big issue for cocoa and we're therefore seeing an increase in fair trade of organic products so prices are starting to come down. Kale grows well all over New Zealand and is cheap and easy enough to grow to feed families. Goji and acai berries are imported and quite specialty foods from South America." Carolyn Lister is a research leader at the New Zealand Institute for Plant and Food Research. Emily Dowding-Smith has a background in resource management and environ-mental law and science. She works at the Sustainable Business Network. It was an epiphany after eating a meat-lovers pizza that inspired Jamie-Lee Smith to go vegan in October 2012. Now, the 27-year-old carefully maintains a balanced and varied diet to ensure she gets enough of the nutrients that would otherwise come from meat and dairy - like iron, protein and calcium. "For as long as I can remember, I had a blocked or running nose, I would always feel tired and I suffered from depression," she said. Ms Smith said though she never felt great after eating even normal amounts of meat and cheese, she couldn't resist the deliciousness. But one day, post-pizza, she realised she was putting the taste ahead of her own wellbeing. "I decided to try eating vegan the next day and have never looked back. I now think about all the nutrients my body needs and try to fit as much in as I possibly can. "I have a list of essential nutrients on my phone and all the foods that I personally like that are high in them. "I've also figured out how to 'treat myself' in a way that's not detrimental to my waistline or to animals. "'Pulled pork' tacos are pretty cool. They're made from jackfruit - a huge fleshy fruit from Southeast Asia. "All my treat foods are jam-packed with veges." Ms Smith is now a much healthier weight and says she is no longer lethargic and has taken up exercise. Her nose is rarely blocked and she has seen a huge improvement in her mood. The change has had a positive impact on her pocket, too. "It's way cheaper. I do 90 per cent of my shop in the produce section." How many of you would hate to add up the amount of money you have spent on commercial weight loss programmes? This is probably a sore point because they are not cheap and the beauty of the Jenny Craigs and Weight Watchers of this world is that you have to stay on them in order to continue getting the weight loss results that people are so desperate to get. The inherent yo-yo effect of diets ie losing weight when you are on them but regaining weight rapidly once you go off them, also ensures the long term success for the weight loss programme organiser. It is highly likely that your customers will be back - 6, 12 or even 24 months later for another go a losing weight! It is probably the thing that drives people to my door most frequently - the frustration of the weight regain after being so successful with a diet for a period of time. I hear it all the time and I am so happy to be able to give them another option that does produce excellent and long term weight loss. Weight loss surgery is a lot more likely to produce sustained weight loss over the long term when compared directly with any other non-surgical weight loss tool. Bariatric surgery may seem expensive on the face of it, however, when you add up the amount of money that gets spent on diets, shakes, tablets etc and the amount saved on food following bariatric surgery, the mathematics looks very favourable. All things to be put into the mix! \A comprehensive review of commercial weight-loss programmes has concluded that there is limited evidence to support or recommend commercial weight-loss programmes. The research, published in the Annals of Internal Medicine, compared weight loss, adherence, and harms of commercial or proprietary weight-loss programmes versus control/education (no intervention, printed materials only, health education curriculum, or <3 sessions with a provider) or behavioural counselling among overweight and obese adults. "Primary care doctors need to know what programmes have rigorous trials showing that they work, but they haven't had much evidence to rely on," said lead author, Dr Kimberly Gudzune, an assistant professor of medicine at the Johns Hopkins University School of Medicine. "Our review should give clinicians a better idea of what programs they might consider for their patients." Very-low-calorie programs (Health Management Resources, Medifast, and OPTIFAST) resulted in at least 4.0% greater short-term weight loss than counselling, but some attenuation of effect occurred beyond six months when reported. "Given these findings it may be reasonable for clinicians to refer patients to Weight Watchers or Jenny Craig,” the researchers write adding that although Weight Watchers and Jenny Craig were found to be the most effective commercial weight-loss programs, the weight loss was still ‘modest’, with participants losing around 3-5% more than control participants. Gudzune and colleagues said more rigorous studies of such programmes over longer periods are needed. Policy and environmental changes are very important in preventing unhealthy weight gain but may not help people with severe obesity achieve substantial weight loss, according to a report published online in The Lancet. Instead, innovative new treatments, health delivery strategies and initiatives aimed at improving the care of people suffering from obesity must be deployed to fight what has now become a worldwide epidemic, says the lead author of the study. "An estimated 600 million people worldwide now suffer from obesity, and that represents an enormous burden both for individuals and for society at large," says Dr William H Dietz, director of the Sumner M Redstone Global Center for Prevention and Wellness at Milken Institute School of Public Health at the George Washington University. "Our findings suggest that we must take steps now to transform the way obesity is treated, with more emphasis on partnerships, better training for health professionals, and initiatives aimed at erasing the stigma surrounding this serious health condition." The is one of a series on obesity published online in The Lancet and presented at the Healthy Eating Research Conference held in Baltimore, MD. Dietz and his colleagues conducted one of the most comprehensive reviews of the literature published between 2000 and December 2013 on obesity management. They concluded that the current clinical delivery systems are poorly suited for the prevention and management of obesity. In addition, they found that health professionals do not have the training and tools they need to treat this condition. The report says that many health professionals express biased opinions toward people with obesity and that such attitudes can impair the quality of health care delivery. "Many health professionals view people with obesity as lazy or lacking in willpower," said Dietz. "The disrespect shown by some providers may discourage future visits or delay essential care that could lead to weight loss or the detection of diseases associated with obesity." The study suggests that training for health professionals should emphasize the complex biological factors that contribute to the development of obesity, factors that have nothing to do with willpower. The authors also urge health professionals to examine their own attitudes towards obesity and rely on new evidence-based tools that can help them care for people who suffer from obesity. Health care providers must also stay informed on the latest therapeutic advances, including behavioural therapy to change diet and exercise; new drugs or devices that can dampen the appetite; and bariatric surgery, which can reduce the size of the stomach to help facilitate weight loss. "Even a 5 to 10 percent weight loss can lead to a reduced risk of stroke, heart disease, and diabetes," Dietz points out. "Health professionals should stress the benefits of modest weight loss—and work with their patients to decide on the most appropriate therapy." The researchers suggest that future efforts to improve care for obesity should integrate clinical and community initiatives. They point out that few examples on integrated systems exist, but that obesity will not be solved by clinical efforts alone. Complementary improvements in the nutrition and physical activity environments will be required to prevent obesity, and to augment and sustain weight loss.